The weekend is here people! So don’t waste it sitting at home in front of the television. Go outside and do it instead! Catch a movie on the roof! 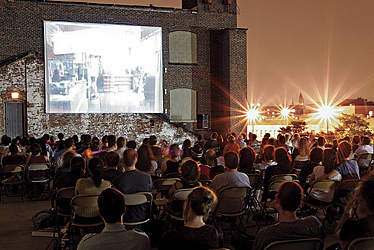 For 9 bucks, catch a quirky indie flick on a rooftop on the lower east side. Most locations offer an open bar (for those of you of age! ), but it looks like you may have to bring your own snacks. And oh yeah, don’t forget a jacket or blanket cuz it’s getting chilly out! You are currently browsing the archives for the What should I do this weekend? category.